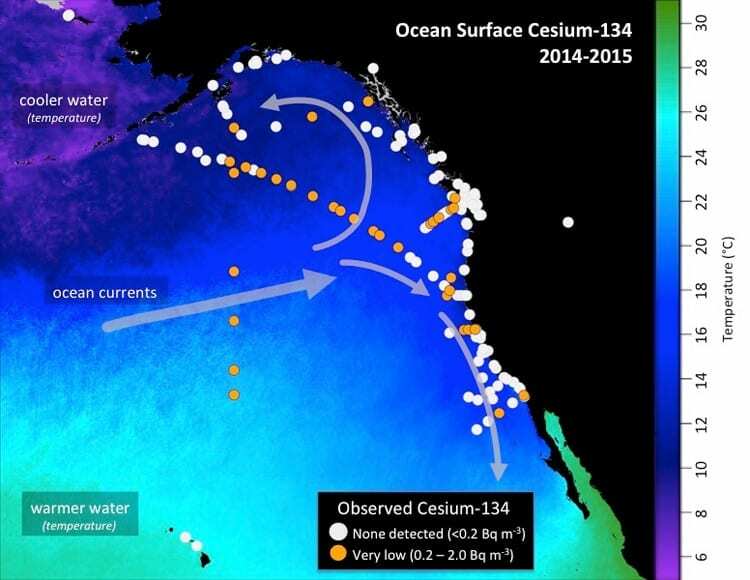 Scientists monitoring the spread of radiation in the ocean from the Fukushima nuclear accident report finding an increased number of sites off the US West Coast showing signs of contamination from Fukushima. This includes the highest detected level to date from a sample collected about 1,600 miles west of San Francisco. The level of radioactive cesium isotopes in the sample, 11 Becquerel’s per cubic meter of seawater (about 264 gallons), is 50 percent higher than other samples collected along the West Coast so far, but is still more than 500 times lower than US government safety limits for drinking water, and well below limits of concern for direct exposure while swimming, boating, or other recreational activities. 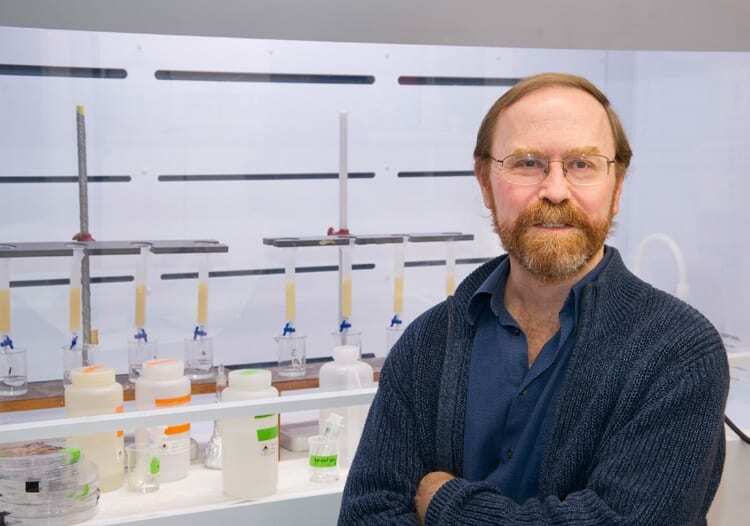 Ken Buesseler, a marine radiochemist with the Woods Hole Oceanographic Institution (WHOI) and director of the WHOI Center for Marine and Environmental Radioactivity, was among the first to begin monitoring radiation in the Pacific, organizing a research expedition to the Northwest Pacific near Japan just three months after the accident that started in March 2011. Through a citizen science sampling effort, Our Radioactive Ocean, that he launched in 2014, as well as research funded by the National Science Foundation, Buesseler and his colleagues are using sophisticated sensors to look for minute levels of ocean-borne radioactivity from Fukushima. In 2015, they have added more than 110 new samples in the Pacific to the more than 135 previously collected and posted on the Our Radioactive Ocean web site.